Lhu Wen Kai’s near-fifteen-minute medley of classics from the infamous High School Musical is a performance that will bring about a treasured sense of nostalgia for many listeners. The alternative angle, the solo piano, sees these compositions explored through a new and unique light – a somewhat personal one, and one that captivates in a whole new way. For those less familiar with the music, the video is simply a pure and impressive outpouring of musical ability and passion. The whole thing is rhythmically on point and takes the listener through a series of feelings as the full performance comes together. Given the colour and vibrancy of High School Musical and all of the songs that made it what it was, to witness such a raw and intimate take on those works – a solo performance, utilizing the strengths of each piece and reinventing the experience in a whole new way, comes with a host of its own quirks. 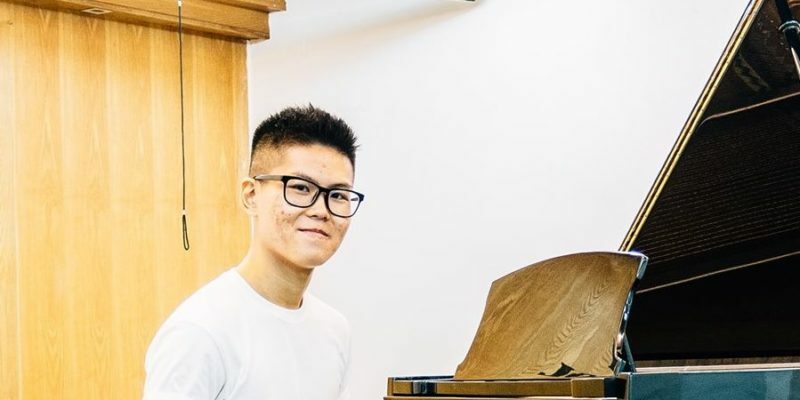 There’s no question as to Lhu Wen Kai’s connection to the music he plays, to the art of piano playing in general, and this video at the very least introduces a dedicated musician with a genuine love for the art-form. As big as High School Musical was, there are undoubtedly millions of listeners out there who will hold this catalogue of songs as important parts of their childhood and their past. Lhu Wen Kai presents a fitting tribute, and one that’s a pleasure to listen through and witness in a live setting. Find & follow Lhu Wen Kai on Facebook.